AlwaysOn High-Speed Internet is dedicated to providing the best internet access possible. AlwaysOn has put together a network that boasts the latest technology, all on a high-speed fiber backbone. AlwaysOn is locally owned and operated. Expect local, hometown service that is superior to anything offered by the big guys. AlwaysOn is a fixed wireless broadband provider. This type of high-speed internet access uses radio signal airwaves rather than cables. The radio receiver at the subscriber's location (residence or business) must have a line of sight to one of our radio towers. 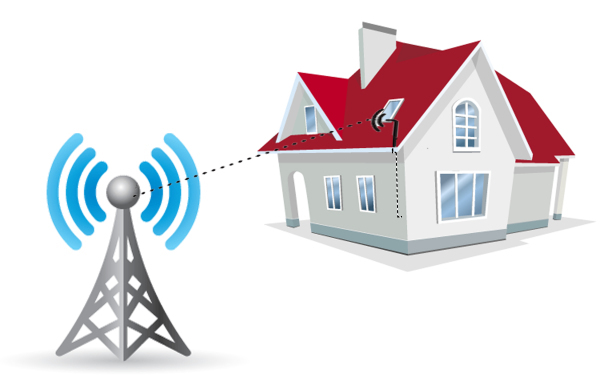 Fixed wireless utilizes radio towers to communicate with each other and with the subscriber's location. These radio towers are similar to cell phone towers. The radio receiver will be a small dish or rectangular shaped antenna. Radio receivers sizes : 4" x 7 "x 2", 9" x 9" x 2" or a 12" x 3". A cable will run from the radio receiver down the side of the building. We will drill a small hole to terminate the cable into the interior of the building. The POE must be supplied with power. The POE may plug directly into a power outlet or will have a power cord attached. 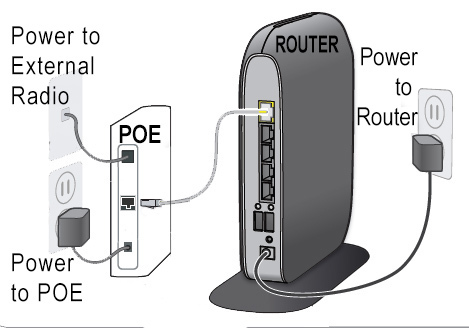 A second ethernet cable will connect the POE to a wifi router. If you elect you can negate a wifi router and plug a computer or TV directly into the POE. AlwaysOn will supply the radio, mount, POE, and cables. The customer is responsible to supply a wireless (wifi) router. When choosing a new router, you should consider the size of your coverage area and the number of clients, as well as the types of devices that will connect to the router. Not all routers are created equal. Some models can only communicate over a single radio band, while others can use two. 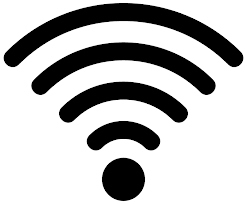 Single-band routers operate on the 2.4GHz frequency band and are typically the least expensive models out there, but they have to compete with other devices in the home that are on the same radio band, such as microwave ovens, Bluetooth devices, and wireless phones. That said, they are perfectly adequate for things like Web surfing and connecting to social media services like Facebook and Twitter. If one or more of your devices will be streaming video from a service such as Netflix, or connecting to an online gaming service such as Xbox Live, consider a dual-band router. These have two radios; one connects to the 2.4GHz band, and the other connects to the 5GHz band. The 5GHz band is typically less crowded than the 2.4GHz band and offers more throughput, with minimal signal interference, making it ideal for video streaming and gaming duty. Dual-band routers allow you to assign a band to specific applications and clients, thereby easing the load on both bands. Then there are tri-band routers. These have three radios—one that operates at 2.4GHz and two that operate at 5GHz. These models are a good fit for multi-device households that experience heavy network traffic. lots of video streaming, torrent downloading, file transfers, and online gaming. Our service will not work with a router containing a modem or with a router from a cable, telephone or cellular company. AlwaysOn offers a wifi router you may purchase from us. We offer a 1 watt Mikrotik Router that will work in homes up to 4,000 sq feet. It is a single band, non-parental control. When purchasing our router we will install, maintain and offer a limited warranty on the device. Please ask your sales representative or installer for complete details. You may also want to consider a router that offers parental controls which limits access to usage and certain web content. Routers not from AlwaysOn may assess an additional charge for set up and service calls.